The battle has continued today, and our troops and tanks have been engaged in heavy fighting round Borlon Wood and at Fontaine-Notre-Dame, to the east of it, which we lost yesterday for a time, after a sharp counter-attack upon our Seaforth Highlanders, who entered it on Wednesday night with tanks. 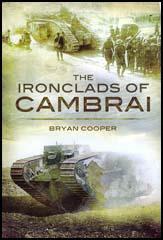 Tanks and cavalry co-operated in this attack, and the tanks were a most powerful aid, and cruised round and through the village, where they put out nests of machine-guns. The cavalry then went on into Anneux; but the first patrol had to retire because of the fierce machine-gun fire that swept down the streets. We thought these tanks were going to win the war, and certainly they helped to do so, but there were too few of them, and the secret was let out before they were produced in large numbers. Nor were they so invulnerable as we had believed. 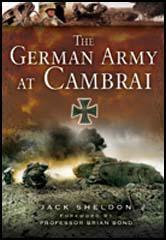 A direct hit from a field gun would knock them out, and in our battle for Cambrai in November of 1917 I saw many of them destroyed and burnt out. 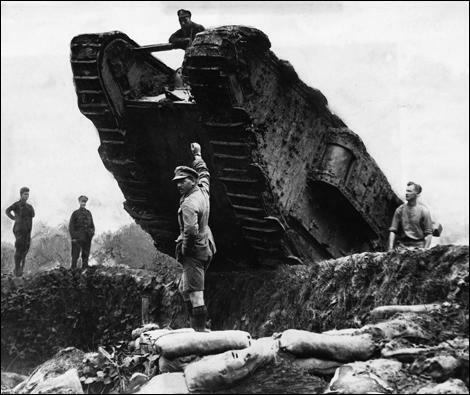 But after the German retreat from the Somme battlefields it was the tanks who broke the Hindenburg Line, which the enemy had believed impregnable. They had dug a wide anti-tank ditch too broad for any tank to cross. But the commander of tanks, General Hugh Elles, had thought that out. He ordered the gathering of vast quantities of twigs and small branches of trees. They were tied into bundles like the Italian fasces. He called them fascines. Each tank advanced upon the Hindenburg Line with one of those bundles on its nose. By working a pulley the skipper could drop it into the ditch, then by nosing forward he could get the front part of the tank on to the bundle and so reach across.